Alex graduated from Sydney University with a Bachelor of Arts and a Bachelor of Laws and he was admitted as a Barrister & Solicitor of the Supreme Court of Western Australia in 1990. 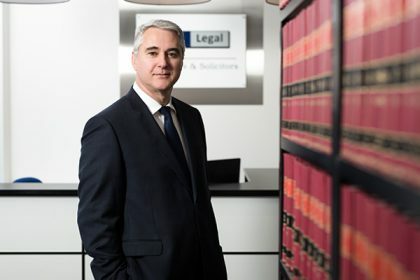 He has more than 26 years’ experience in litigation and has represented small, medium and large businesses in the Supreme Court of Western Australia, the District Court, the Magistrates Courts and various tribunals. Alex is also fluent in German. His interests include rowing and playing chess. Alex has worked in Perth CBD law firms for most of his career, but decided to take his knowledge and experience and set up a practice in Guildford in 2012 so that he could be closer to his home in the Perth hills.